Recover Pictures from Galaxy S7 and S7 Edge | lets discuss: storage media & recovery! Summary: The blog describes the features that make Samsung Galaxy S7 and S7 Edge a perfect camera phone and summarises the process to recover deleted images by using a professional Photo Recovery software. It also explains the reasons for photo loss and suggestions to avoid image deletion and corruption scenarios. 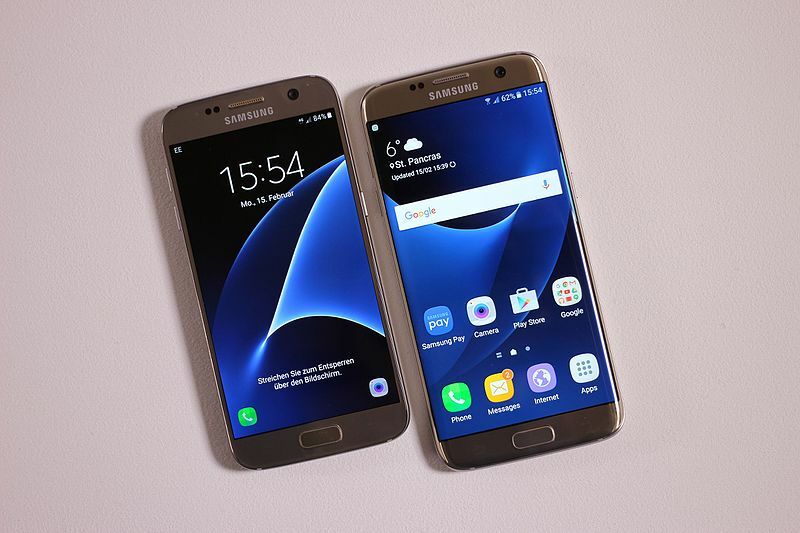 Samsung Galaxy S7 and S7 Edge are, undoubtedly, one of the successful smartphones of 2017 with growing popularity worldwide. One of its outstanding features is the 12 MP primary camera and 5 MP Selfie expert secondary camera which provides high-quality images. Even with its outstanding features and advanced technology, it is still prone to turning corrupt. Further, you may accidentally delete your photos, videos, or music files, while maneuvering your phone. You don’t realize this until you are about to share one of your most recent photos with a friend but failed to find it in the Gallery section. If you had created a backup of your data, then you will be able to restore it quickly; but in a situation where you did not create a backup, then the first step you can take is to stop using your Samsung Galaxy S7 or S7 Edge immediately. Let’s understand why. When any data gets deleted from the device, we assume that it is gone forever. But, this is not the case. The images are removed but are not permanently erased from the Galaxy S7/ S7 Edge smartphone SD card, and can, therefore, be recovered. Make sure that you do not capture any new image or edit any data as it can overwrite the deleted data, therefore, reducing the possibilities to recover deleted photos from Samsung Galaxy S7/ S7 Edge. In the absence of a backup, there is no built-in procedure to recover your deleted images from your smartphones; in fact, the photo can only be retrieved using a third-party image recovery software such as Stellar Photo Recovery. Lastly, specify the location where recovered data needs to be stored on the hard drive. Once Samsung Galaxy S7 photo recovery process is completed successfully, you can navigate to the specified storage path to access the recovered data under the corresponding root folder for the particular file format being selected in the Advanced Settings window. With this, the process to recover the deleted data from Samsung Galaxy S7/ S7 Edge SD Card is complete. Ensure that the recovered file is replicated and kept at an off-site location so that the older data can be retrieved in case of failure. Since photos are our priceless moments and cannot be recreated, it is always essential to back up the data on iCloud, particularly images, audio, and video files. After that, they can be recovered from anywhere on any device. Maintaining a backup of your valuable data is an ultimate solution for all issues associated with your data. Make sure to backup your memory card and other storage devices on a regular basis so as to avoid data loss. Even after more than 5GB space left in SD card, I receive a message saying “not enough memory space”. Please tell me how to fix the issue? First, stop any running applications. After then, clear your Cache. Then go to Application Info> Permissions> turn off everything then turn on Storage and restart application. You can go through every setting on the S7’s camera and play with them, compare different photographs by applying various settings and also experiment with various smartphones lenses. After trying all the settings, also you can opt for various third party Photo Apps for android to do the after effects of your pictures.